Located 80 miles north-east of Paris, Reims, known as the unofficial capital of Champagne region in France, is famous for many things including its cathedral, biscuit rose, and other historical sites. 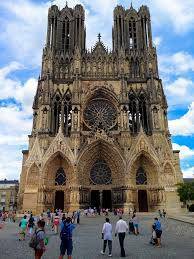 Reims was originally founded by the Gauls in 80 BC, grew into Holy Roman Empire and a center of intellectual culture, then was hit heavily in World War I & II. Now, Reims is a beautiful town, especially in the summer, full of culture, cuisine, and historic sites for all to experience. 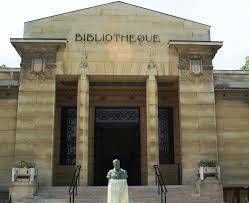 This library is the perfect place to start when you arrive in Reims. Built in the 18th century, this library was originally known as The Municipal Library of Reims. In World War I, however, the library was destroyed by an incendiary shell. In 1920, the Carnegie Endowment for International Peace donated $200,000 for it to be rebuilt. Biblothèque Carnegie was rebuilt and reopened to the public in 1928, and then in 2001-2005, restoration of marble, stained glass, ironwork, and woodwork was completed. Today, the library is open to the public and is a space for education. In the 9th century it became tradition to crown the kings of France here, and when there was a coronation going on, the Palais du Tau was frivolously decorated. Built in the shape of a “T”, each of the 20 rooms has a specific function and use. 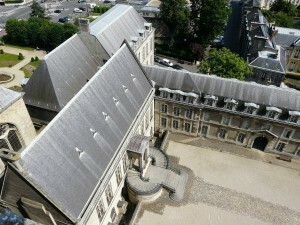 This is the former palace of the archbishop of Reims and today the sculptures, tapestries, costumes, ornaments, and golden treasures are on display. Standing in gothic architecture, the Reims Cathedral towers over the coronation city of Reims. This cathedral is simply breathtaking and contains more history than you could ever imagine. Replacing a church that was burned down in 1211, kings have been coronated, wed, and anointed here. Like the Biblothèque Carnegie, the Reims Cathedral was a target during World War I. During this time, the roof of the cathedral was destroyed by a fire. Since then restorations have been non stop to the cathedral. 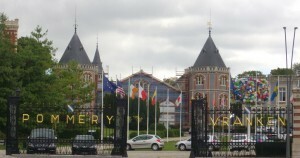 In 2011, Reims celebrated the 800th anniversary of the cathedral from May to October. Built in 1866, the Reims Opera was officially inaugurated in 1873. The architect, Alphonse Gosset, won first prize for the construction of the new theatre. 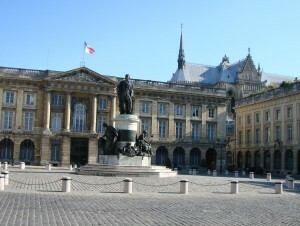 Along with the majority of other historic sites in Reims, the opera was damaged in World War I. In 1914, part of the dome and the large chandelier were destroyed and just the façade of Reims Opera remained. After the war, reconstruction started and was completed in 1937. Now, the interior of the opera is decorated in an Italian flair, with a hint of compartmentalization and hierarchal society. 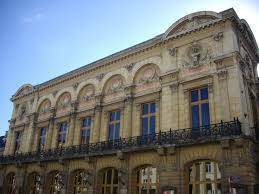 The Reims Opera currently has a theatre program and hold performances open to the public. 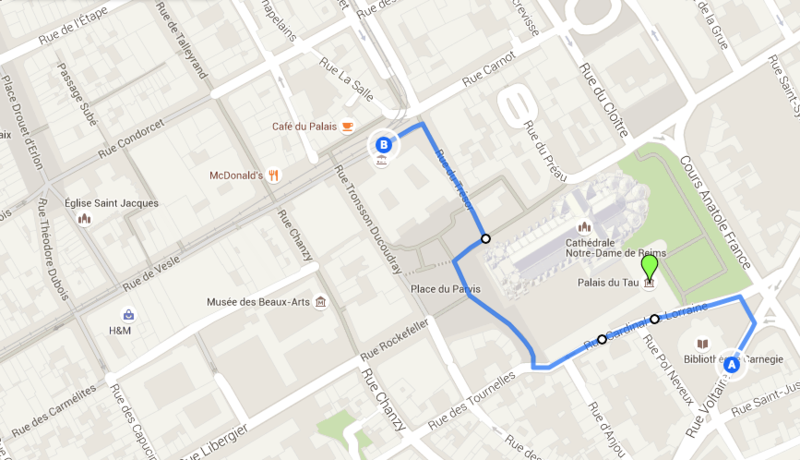 Musée de la Reddition is a located outside of the city center and is located at 12 rue du Président Franklin Roosevelt. 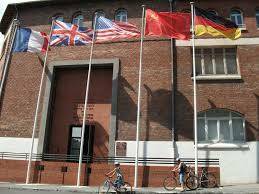 It is definitely worth a visit because on Monday, May 7th, 1945, the end of World War II was declared here. On that day, the Third Reich’s armed forces surrendered unconditionally. Today, the museum now displays the Salle de la Signature (Signing Room), which has remained intact since the surrender. In addition the museum displays vintage figure and historical artifacts. 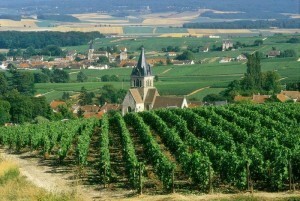 Reims is also very famous for its champagne region. Known as the wine of Kings, champagne was made for the coronation of the Kings in Reims and thus its closely linked to monarchy. 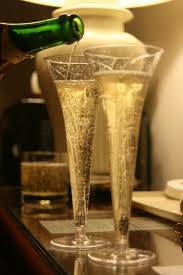 Due to several champagne houses, who now distribute all over the world, champagne is now the symbol of French Spirit. All of these Maisons de Champagne are worth a visit. Another speciality of Reims is Fossier pink biscuits. These small rectangular cookies are traditionally dunked into your glass of champagne before eaten. Enjoy! ParisByM can help you plan your trip and save on your hotel in Paris : we can book your tickets for the monument visits, spare you time waiting in line, help you find a hotel in your budget, and provide a full itinerary of what to do in Paris for the length of your stay.